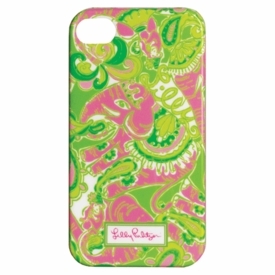 Fun Lilly Pulitzer style iPhone 5 case with rubber gripper style. Popular Chin Chin pattern. NOTE: Only 3 left! SIZE DIMENSIONS: 2.4" x 5"